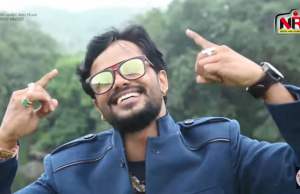 This is a latest Rajasthani DJ Song 2015. This is a bhajan song of Kalyan Dhani deity. When song starts, it looks so good. It is a new version of the famous song Moruda released on Alfa Music. You can enjoy Moruda original song here. This is the DJ remix of the earlier version which has been sung folky touch. This song is released in Raji holo motyalo album. So enjoy the song here with the song lyrics. Loved? Share this video on FACEBOOK. Hope you enjoyed Rajasthani Songs Moruda? If you really like the song, then share your experience with us using comment area and stay tuned for more entertainment on MARWADISONG.IN.